Wright Cost Management Services approaches each cost reduction project in a structured and systematic way. We first meet with our prospective client to learn more about their business. We then gather as much information as possible about the costs involved in the everyday operation of the business. Once the client agrees to proceed we undertake an initial audit to determine where savings might be achieved. A detailed process will clearly outline the areas where the cost savings can be made. We will work with our client to implement the cost savings identified. On completion we produce a final report summarising all of the saving recommendations. We then concentration on implementation. 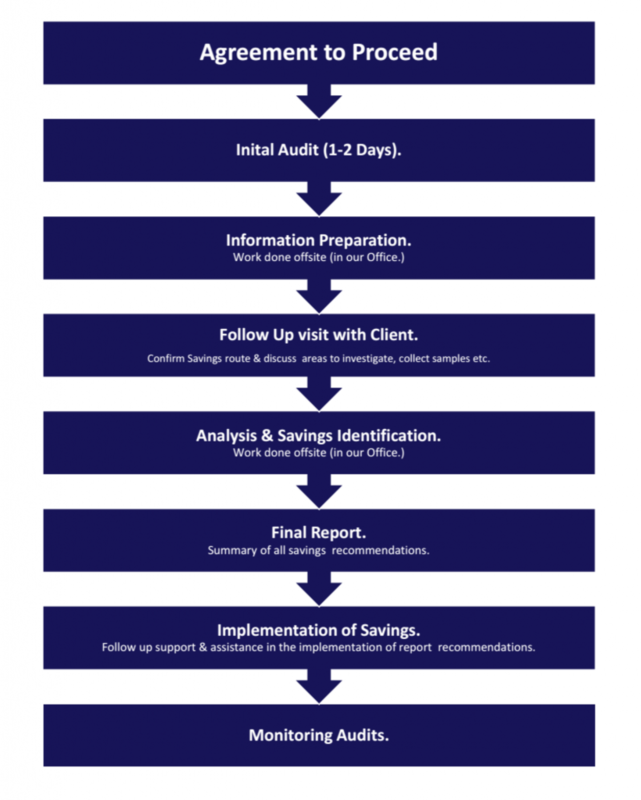 The overall cost saving process is summarised below.